Many athletes and bodybuilders swear by protein powder shakes to fuel their workouts and sustain energy and power during training and competition. However, non-athletes can benefit from protein powders too if they don’t get enough protein in their diets through food. Since there are so many protein powders on the market today, it can be incredibly overwhelming to choose one with natural ingredients to suit your needs. Protein powders can be made from animal-based or plant-based foods which is important to know if you are a vegetarian or simply want to limit your intake of questionable ingredients. Protein concentrates are a common form of protein powder, and these typically contain about 60 to 80 percent protein after extracting the protein from whole foods. To go one step further than this, you can choose protein isolates, which involve filtering out fat and carbs to provide approximately 90 to 95 percent protein per serving. There’s another form of protein power called protein hydrolysate, which is absorbed into the body quicker because it is heated to break amino acid bonds. You can also find protein powders that are fortified with other minerals and vitamins. This is a plant-based protein that does not contain psychoactive components like you might associate with the THC in marijuana. It is rich in amino acids and omega-3 fatty acids, and it is easily digested in the body. Probably the most popular type of protein powder that you’ll find in stores today is whey protein. This type of protein powder comes from milk and contains lactose, which may be problematic for people with digestive disorders though. 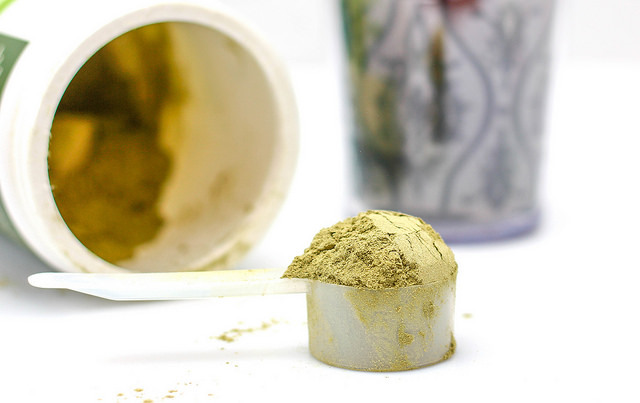 Contrary to what you might think, pea protein powder doesn’t actually taste like peas and is a popular option among vegans and vegetarians. This type of powder is made from yellow split peas, which contains many amino acids. This type of powder is typically absorbed a bit slower than whey protein but it doesn’t cause allergies or dietary sensitives like whey does. You can also try protein powder made from brown rice, which contains essential amino acids but it not commonly used for muscle building. This is because it is low in lysine and not considered to be a complete protein source. If you’re looking to build muscle, whey protein is typically the powder of choice if you don’t have sensitivities to dairy. However, you can find blended plant proteins that combine aspects of powders made with hemp, peas, brown rice, alfalfa, chia seeds, and flaxseeds to get a more balance source of protein that is plant-based. Regardless of which type you try, look for protein powders made with organic ingredients and with the fewest ingredients possible to minimize your risk of ingesting artificial ingredients or additives. It’s easy to dump a scoop of protein powder into a smoothie that you make in your blender or simply into a glass of almond milk or water. 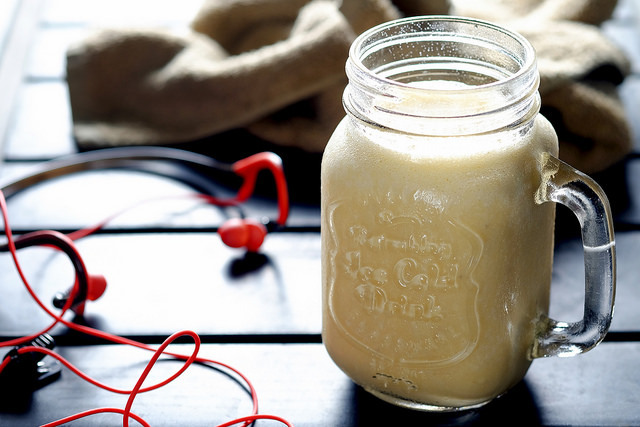 Protein shakes can be used as a meal replacement when you’re rushing out the door in the morning or as a mid-day boost for energy. They’re also great for a post-workout snack to refuel your body with after the gym. But you can also bake with protein powders to make protein bars and satisfying treats. There are entire protein powder cookbooks that you can buy or find recipes from online to get more creative with protein powders once you’ve found one that you like and that meets your nutritional needs. If you’ve tried protein powder and decided it isn’t for you, don’t worry. There are still plenty of healthy ways to get the protein your body needs through meat, fish, vegetables, and non-fussy supplements like our Marine Protein Plus Omega-3s.